The holiday season has come to its end and its charm has almost gone as well. Not on our watch, to extend the holiday season for you CARiD.com has prepared a bunch of awesome promotional offers on various products. 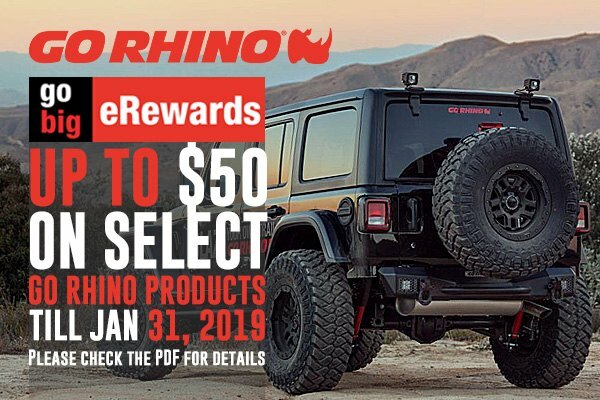 Head over to our website, order qualified Go Rhino products for your Jeep and get a big e-reward. Spend this $50 well saved on your next purchase with us. Please note, this offer ends on January 31, 2019. Check the following PDF form for more details.